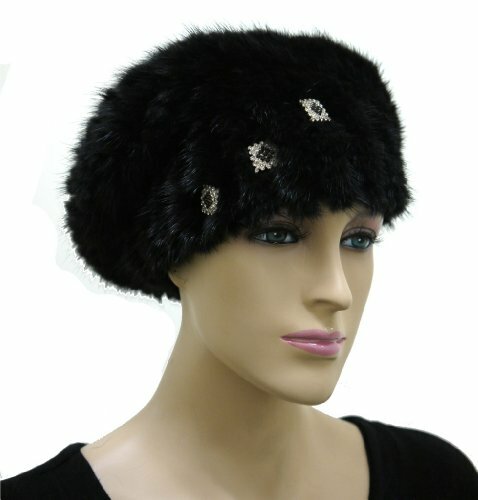 Women's Mink Knit Hat with Rhinestone Pins - Black. An absolutely exquisite has that will keep you looking your best, no matter what. One size fits all. Ranch Mink Sections Telescoped Toque S 22"